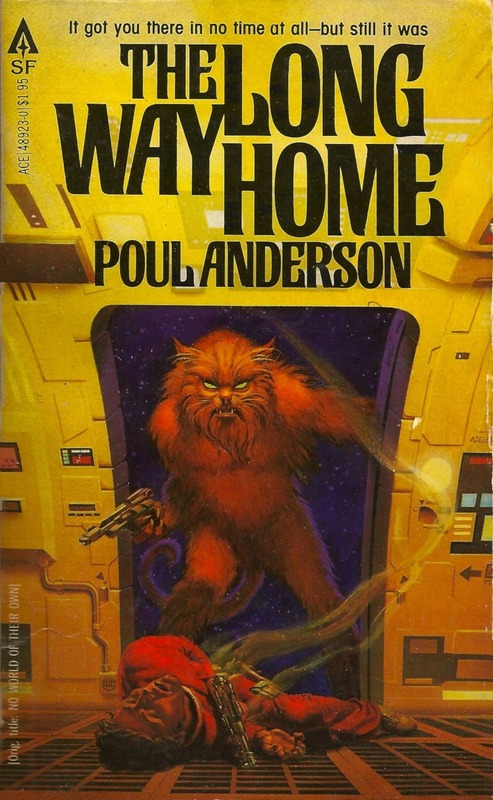 Poul Anderson was born on November 25, 1926 and died on July 21, 2001. Anderson won the Hugo Award for Short Fiction for “The Longest Voyage” and “No Truce with Kings.” He won the Hugo Award for Best Novelette for “The Sharing of Flesh,” “Goat Song,” and “Hunter’s Moon.” Anderson won the Hugo for Best Novella for “The Queen of Air and Darkness” and “The Saturn Game.” Both of those novellas and “Goat Song” also earned the Nebula Award. His novel Hrolf Kraki’s Saga won the British Fantasy Award and his novel Genesis won the John W. Campbell Memorial Award. His novel Tau Zero was recognized with a Seiun Award and A Midsummer Tempest won the Mythopoeic Award. 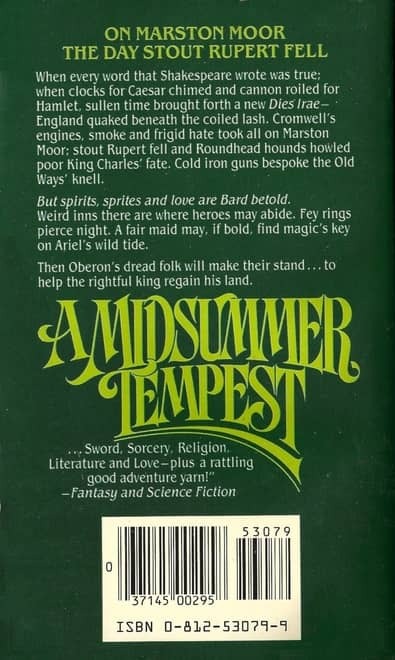 Four of his works won the Prometheus Award: Rader to the Stars, The Star Fox, The Stars Are Also Fire, and “No Truce with Kings.” He received a Forry Award in 1968, was named a Grandmaster of Fantasy with a Gandalf Award in 1978, a Skylark Award in 1982, was named a Grand Master by the SFWA in 1998, was inducted into the Science Fiction Hall of Fame in 2000, and received a Lifetime Achievement Award from the Prometheus Awards in 2001. He was the guest of Honor at Detention, the 17th Worldcon in Detroit in 1959. He has published under the pseudonyms Winton P. Sanders, A.A. Craig, and Michael Karageorge. He frequently collaborated with his wife, Karen, and with Gordon R. Dickson, Gergen, F.N. Waldrop, Midred Downey Broxon, and Gordon Eklund. “The Valor of Cappen Varra” initially appeared in the January 1957 issue of Fantastic Universe, edited by Hans Stefan Santesson. It was reprinted by L. Sprague de Camp in the anthology Swords and Sorcery: Stories of Heroic Fantasy and by Anderson in his collection Fantasy and later The Armies of Elfland. 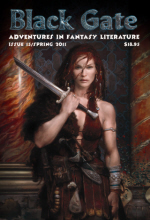 Jack Dann and Gardner Dozois used the story in their anthology Bestiary! The story has been reprinted in a chapbook on its own as well as with other stories by Anderson. 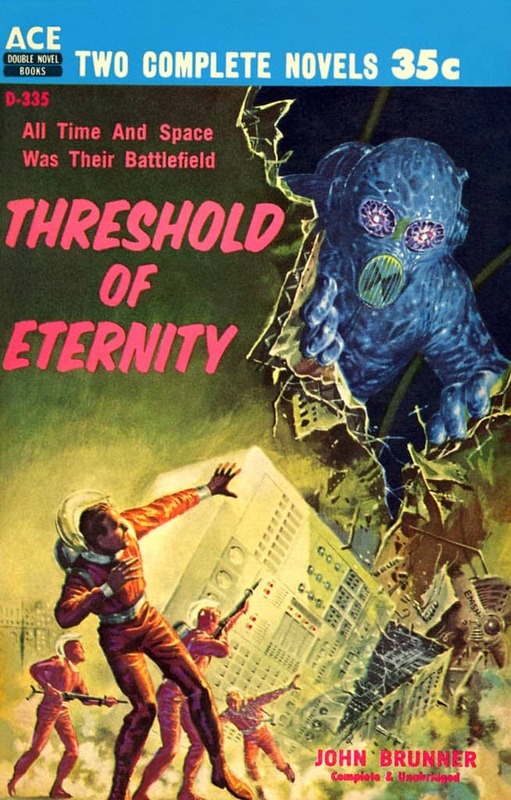 It has been included in the Anderson collection The Star Beast and Other Tales and in Wildside Press’s The Third Golden Age of Science Fiction Megapack. It was translated into German in 1973 and into French in 1988. I was first introduced to Cappen Varra as a character in Robert Lynn Asprin’s anthology Thieves World, not realizing that he had a history prior to that story. In fact, 22 years before Cappen Varra showed up in Sanctuary, Anderson described his adventures amongst a northern tribe in “The Valor of Cappen Varra.” With the introduction of Cappen Varra into Asprin’s world, it seems Anderson imported the world of the earlier story entirely, although it wasn’t referenced again. 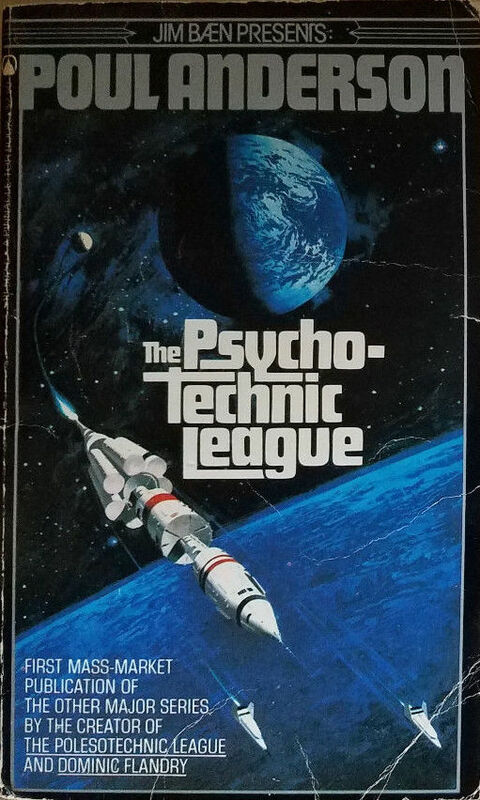 When I learned last September that Baen Books was reprinting Poul Anderson’s classic Psychotechnic League stories, I wrote a brief history of the series. Here’s what I said, in part. The Psychotechnic League began as a Future History, a popular beast among short SF writers of the 40s and 50s. Anderson published the first story, “Entity,” in the June 1949 issue of Astounding Science Fiction, and set the opening of his series a decade in the future. 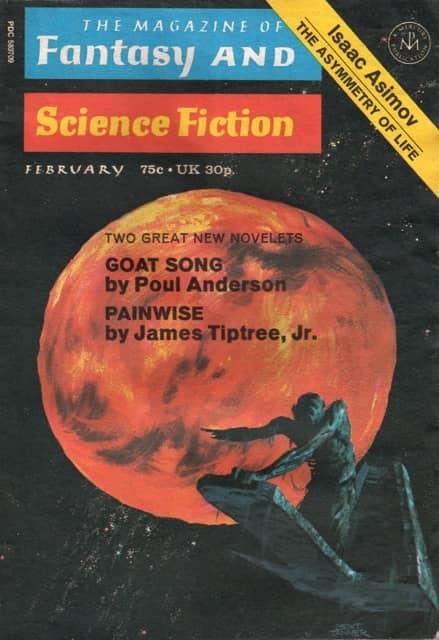 The series continued for the next two decades, (appearing in Astounding, Planet Stories, Worlds Beyond, Science Fiction Quarterly, Cosmos, Fantastic Universe, and other fine magazines), eventually extending into the 60s. In the process, his “Future History” gradually became an “Alternate History,” as actual history trampled all over his carefully constructed fictional timeline. 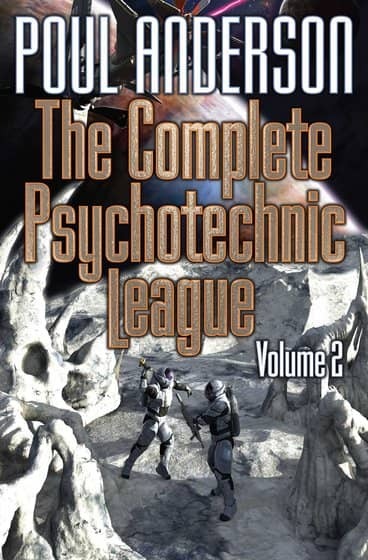 That didn’t seem to bother readers though, and the tales of the Psychotechnic League remained popular well into the 80s. 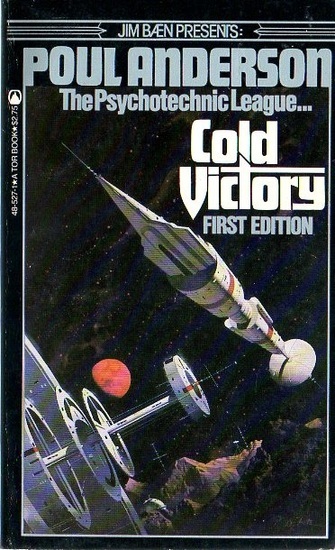 The series included some 21 stories, including three short novels: The Snows of Ganymede (1955), Star Ways (1956), and Virgin Planet (1957). The short stories and one of the novels were collected in a trilogy of handsome Tor paperbacks in 1981/82, with covers by Vincent DiFate. 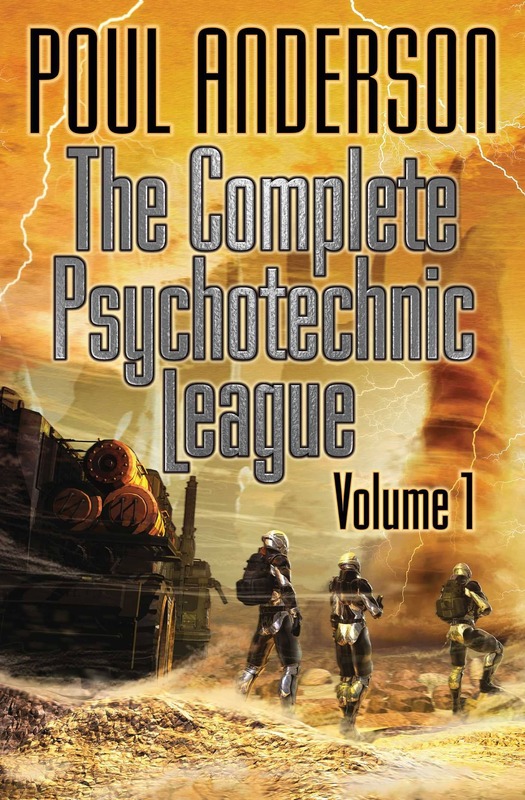 Now Baen books is reprinting the entire sequence in a series of deluxe trade paperbacks, starting with The Complete Psychotechnic League, Volume 1, on sale next month. Volume 1 was released right on schedule last October, and Volume 2 followed in February. The third and final book will be released next month. One of the reasons I collect Ace Doubles — aside from the great cover art, and their historical significance — is that they frequently featured early work by some of my favorite authors. 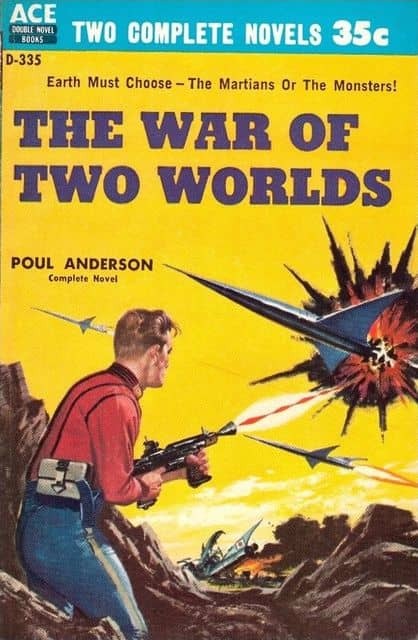 That’s definitely the case with Double D-335, which paired very early novels from two of the greatest SF writers of the late 20th Century, John Brunner’s Threshold of Eternity and Poul Anderson’s The War of Two Worlds. Neither volume was reprinted in a standandalone edition after their original back-to-back appearance in 1959, so you can be forgiven if you’re unfamiliar with them. At his website Strange at Ecbatan, interplanetary paperback expert Rich Horton admits he was unaware of them until recently as well. Why review yet another obscure Ace Double? I realized that it comprised two novels by writers I always enjoy that I was completely unaware of… I figured Anderson and Brunner are always worth a try, and anyway I have a certain quasi-completist attitude towards both of them. Fair enough. Rich usually does his homework on the background for each book, often digging up some fascinating tidbits, and as usual he doesn’t disappoint. 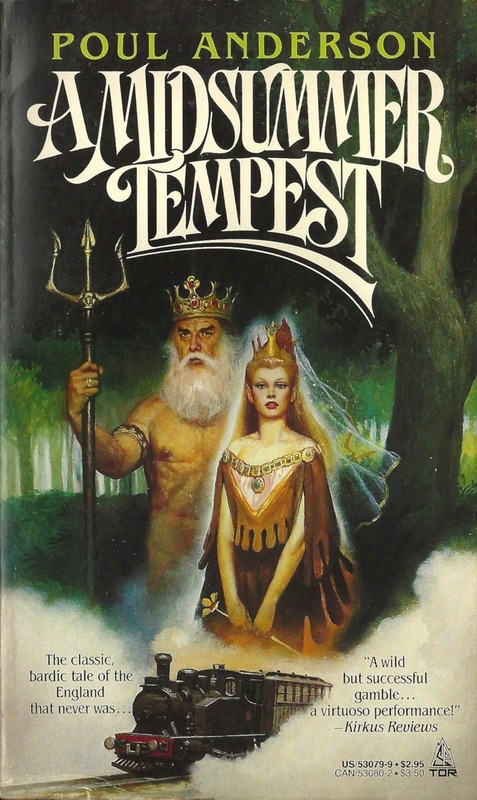 I’ve recently started exploring more of Anderson’s fantasy back catalog, and last month I purchased a copy of A Midsummer Tempest, an alternate world fantasy in which William Shakespeare was an historian, rather than playwright, and the events he recorded were all factual. While the plot draws from multiple Shakespearean plays, as the name implies it is chiefly based on A Midsummer Night’s Dream and The Tempest. 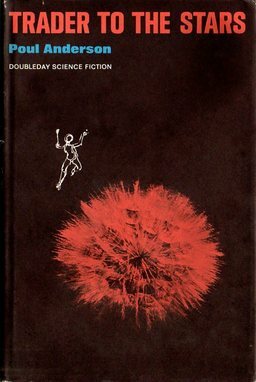 It was nominated for both the World Fantasy Award and a Nebula, and won the 1975 Mythopoeic Award for Best Novel. When Jim Baen left Ace to found Baen Books in 1983, he implemented a publishing strategy that served him well for decades: buying up the back catalog of popular authors and re-issuing them in visually similar covers that could be identified at a glance on crowded bookstore shelves. It was a strategy he learned while working under Tom Doherty at Ace Books from 1977-1980 (and refined under Doherty at Tor Book from 1980 – 1983). 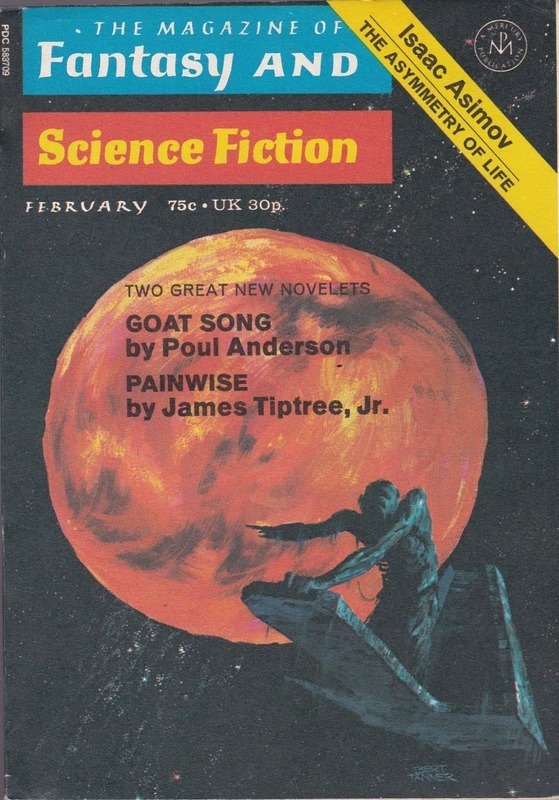 While at Ace, Baen’s genius was to marry popular authors that had substantial back catalogs — like Andre Norton, Gordon R. Dickson, and Keith Laumer — with brilliant new cover artists. 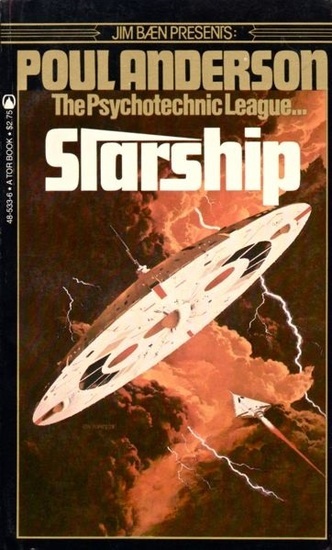 For me the exemplar of this strategy was Poul Anderson’s late 70s Ace editions, given new life by the striking world of a rising new artist named Michael Whelan. When Richard Powers single-handedly remade science fiction art in the late 60s, it wasn’t long before bookshelves were overrun with abstract art. 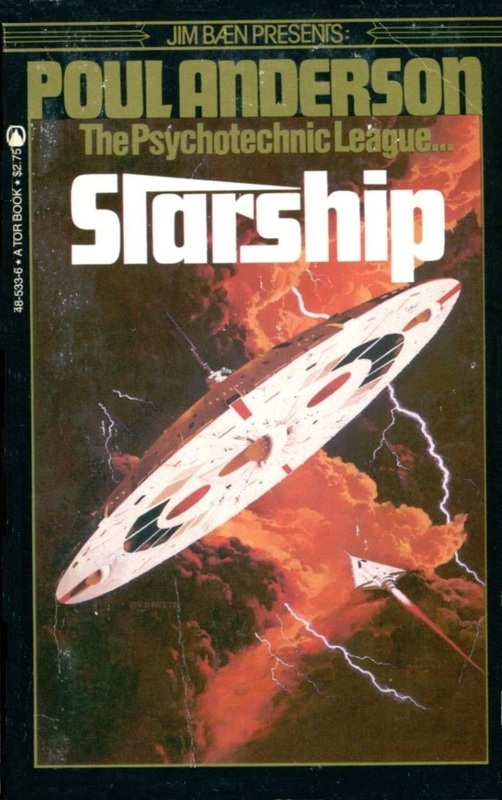 SF paperbacks, once criticized for pulp-era sameness and tired spaceship motifs, now suffered from a very different but no less stifling form of sameness. 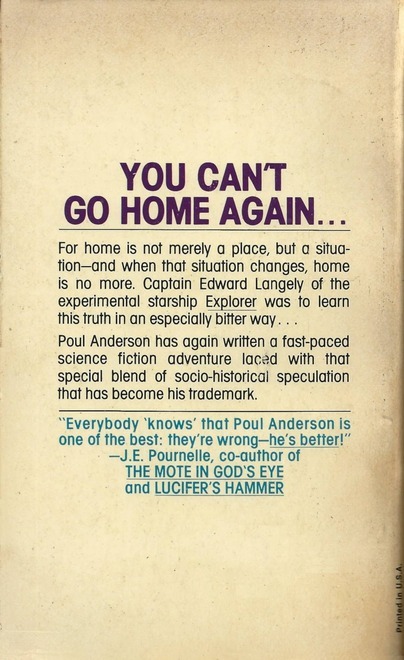 Plenty of writers were victims of the “Powers revolution” in SF art in the 1960s, but I think Poul Anderson was more victimized than most. 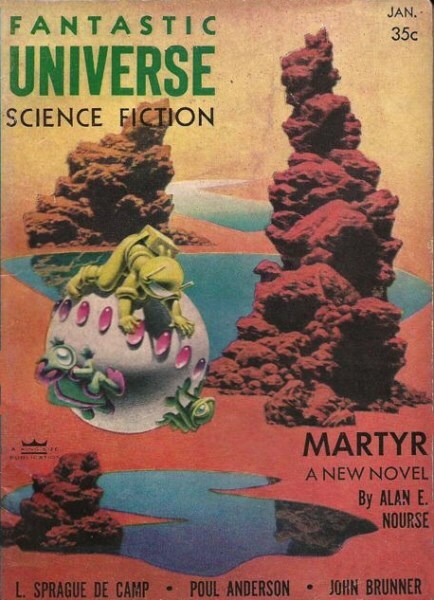 His colorful tales of science fiction adventure on far planets were sold to the public under abstract covers that told them nothing about what they were getting. 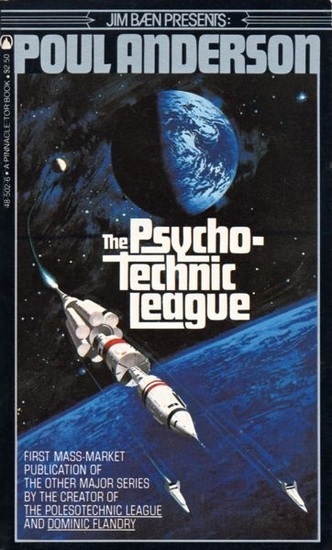 Poul Anderson was one of the most acclaimed and prolific science fiction writers of the 20th Century, and one of his most popular series was The Psychotechnic League, which told the story of the rise of a new civilization after a devastating nuclear war in the late 1950s that very nearly obliterated mankind. 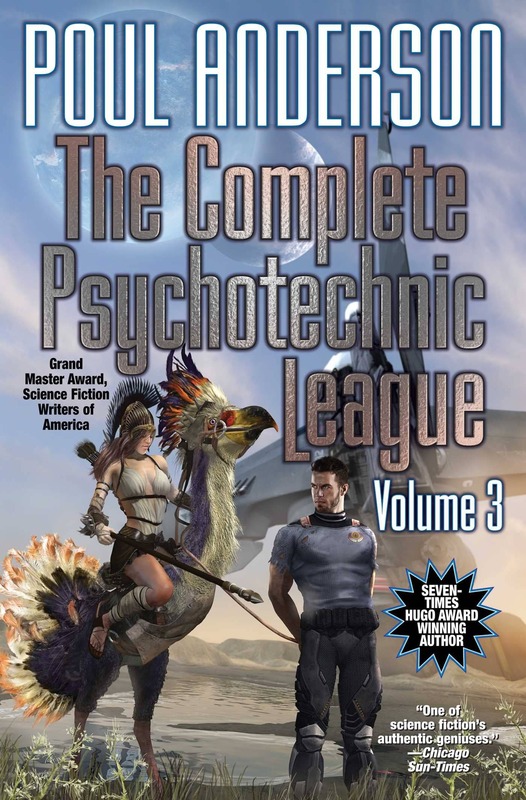 That didn’t seem to bother readers though, and the tales of the Psychotechnic League remained popular well into the 80s. The series included some 21 stories, including three short novels: The Snows of Ganymede (1955), Star Ways (1956), and Virgin Planet (1957). 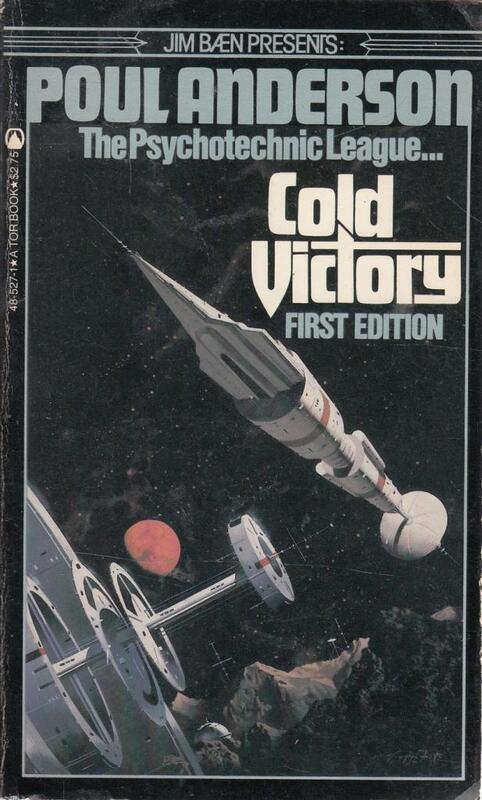 The short stories and one of the novels were collected in a trilogy of handsome Tor paperbacks in 1981/82, with covers by Vincent DiFate (above). Now Baen books is reprinting the entire sequence in a series of deluxe trade paperbacks, starting with The Complete Psychotechnic League, Volume 1, on sale next month. By the time of his death in 2001, Poul Anderson was at the top of the field, with over 70 novels and numerous short stories to his credit. 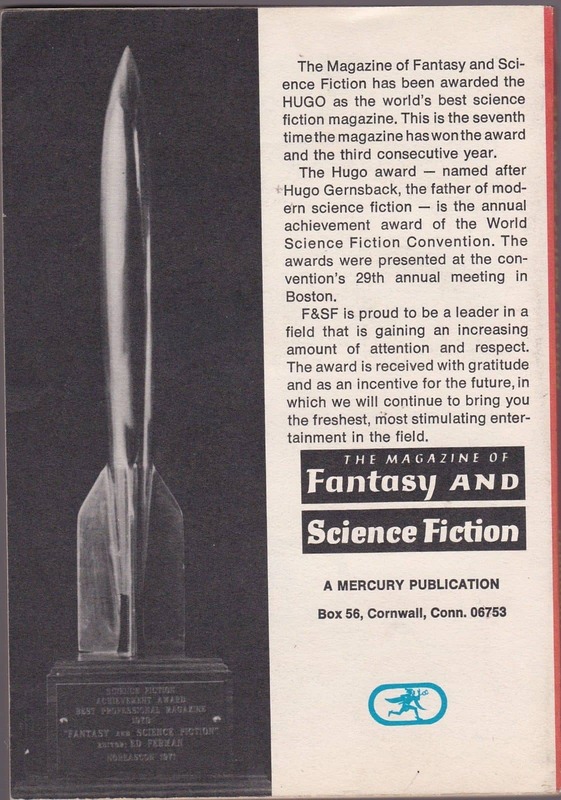 He’d won virtually every award science fiction has to offer, including seven Hugos and three Nebulas. In the 16 years since, however, virtually all of his work has fallen out of print. And like most of the greats of 20th Century science fiction, he’s now in very real danger of being forgotten. Thank goodness for NESFA Press. 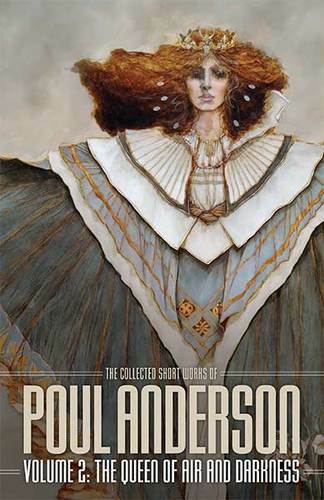 Their ongoing project, The Collected Short Works of Poul Anderson, currently at seven volumes and counting, gathers the very best of his short fiction, including all of his Hugo and Nebula nominated and winning short stories. 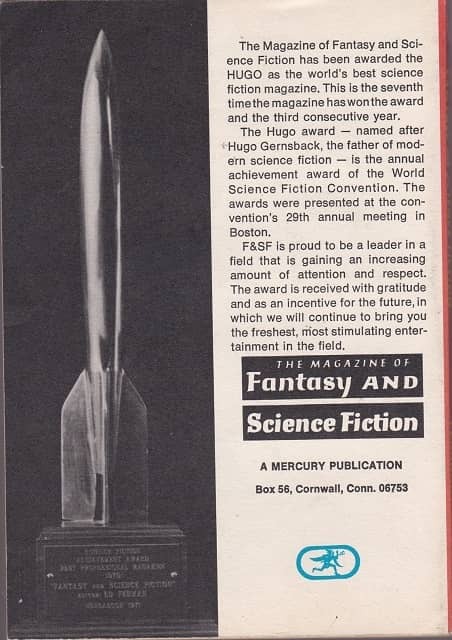 NESFA has produced some stellar collections over the past few decades, celebrating the work of Roger Zelazny, John W. Campbell, Fredric Brown, Zenna Henderson, Cordwainer Smith, C.M. Kornbluth, and countless others, with gorgeous permanent edition hardcovers. Like each of those, these new volumes have made hard-to-find fiction available and fresh all over again, introducing Anderson to a whole new generation. 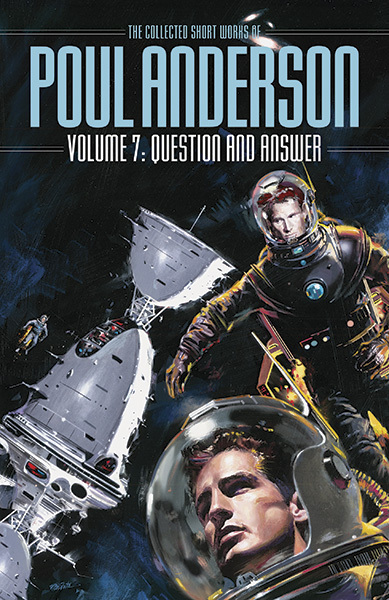 The latest installment, The Collected Short Works of Poul Anderson, Volume 7: Question and Answer, collects five novellas, two novels, and a smattering of short works, including six tales of Dominic Flandry, agent of the Terran Empire, and two stories of the far-ranging Psychotechnic League. It was released in hardcover in February. I have no idea which Poul Anderson book I picked up first. It might have been The Winter of the World or Hrolf Kraki’s Saga. Whichever it was, I enjoyed it. It was enough to get me grabbing books at random from the big stack of his work my dad had bought. I’ve read a ton of his books, but with nearly seventy novels and sixty short story collections to his name, I still have plenty to go. 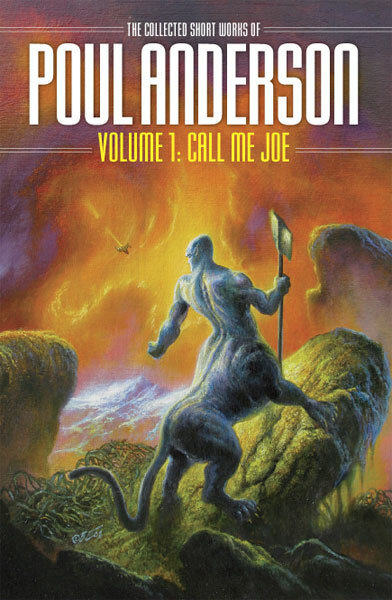 I’d venture a guess that Poul Anderson, multiple Hugo- and Nebula-winner, is probably better remembered for his fantasy than for his science fiction. Since his death in 2001, it seems his fantasy writing, the seminal swords & sorcery novel The Broken Sword in particular, has acquired a much greater reputation than his sci-fi. While he wrote many standalone sci-fi novels, a large number were part of a specific future history. The Technic Civilization covers humanity’s spread across the stars, beginning, chronologically, with the story “The Saturn Game” set in the year 2055 and ending with “Starfog” in 7100. The majority of the stories take place during the second half of the third millennium and feature Falstaffian merchant prince Nicholas van Rijn, his agent David Falkayn, or Imperial secret agent Dominic Flandry. Anderson’s future history stories are a mix of pulp space opera and hard sci-fi. At the heart of many of the stories is an explicit scientific conundrum that needs to be answered. Each puzzle, though, is couched in adventures with alien barbarians, enemy planets, or galactic empires. Trader to the Stars (1964) collects three van Rijn adventures, “Hiding Place,” “Territory,” and “The Master Key.” Each features van Rijn working out evolutionary puzzles, usually in the face of some grave danger and always in hopes of making a profit. The first two throw the trader into the middle of danger, while the third lets him, Nero Wolfe-like, get to the bottom of a native uprising from the luxurious surroundings of his penthouse. 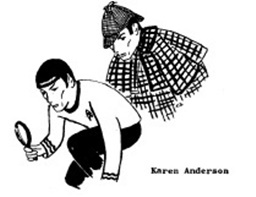 Poul’s wife Karen, also a scifi author and Sherlockian, drew this for his essay. As far as Sherlockians go, I have a rather large Joseph Campbell library. I’ve even written about Holmes and the Monomyth (“The Hero’s Thousand-and-First Face”). Through Campbell, I discovered Carl Jung’s The Archetypes and the Collective Unconscious. However, all attempts to read it were abandoned rather quickly. I found it tough going. I do have a decent handle on archetypes from Role Playing Games, though. Anywhoo…The late Poul Anderson was one of the giants in the field of science fiction: he was racking up Hugo Awards when that meant something. He was also a devotee of Sherlock Holmes and a member of The Baker Street Irregulars. For good measure, he was also a Solar Pona fan and a Praed Street Irregular. Anderson wrote some odd Holmes pastiches and some, insightful, erudite Sherlockiana about the great detective. In September of 1968, The Baker Street Journal included “The Archetypical Holmes,” a fine essay by Anderson and the kind of excellent Sherlockiana that is sadly all too rare these days – made obsolete by pop-centric, culture-appeasing works. Take it away, Poul!